Mary is buried in Evergreen Cemetery, Bloomington (Section E, Lot 462). 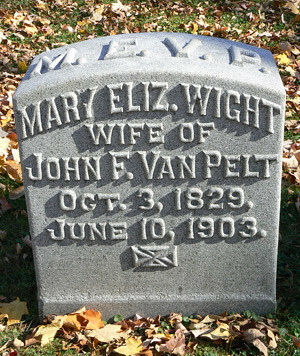 Do you post your graveyard headstone photos to www.findagrave.com? Yes, unless they are already there.